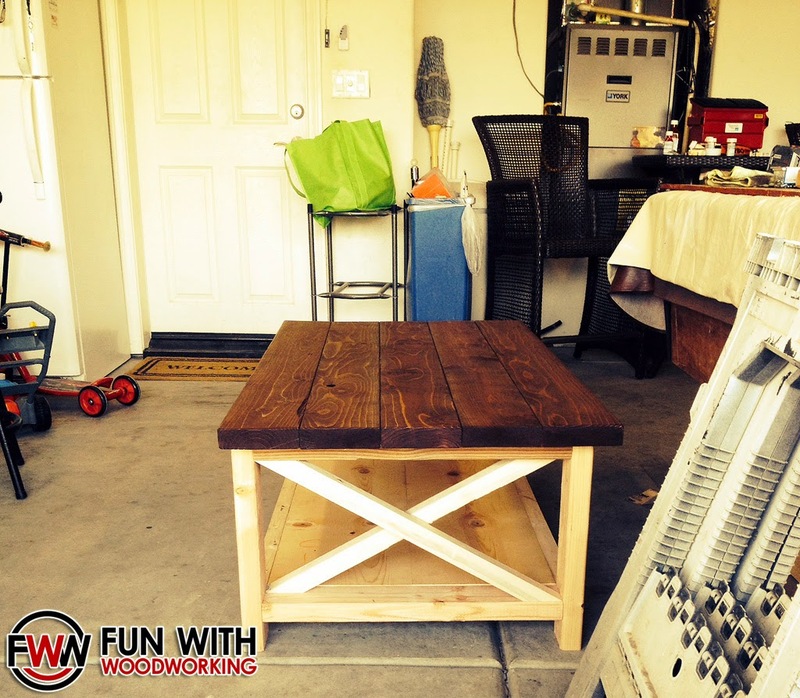 My friend Amran invited my family and I over to his house this past weekend to hang out and build the Ana White rustic x coffee table. 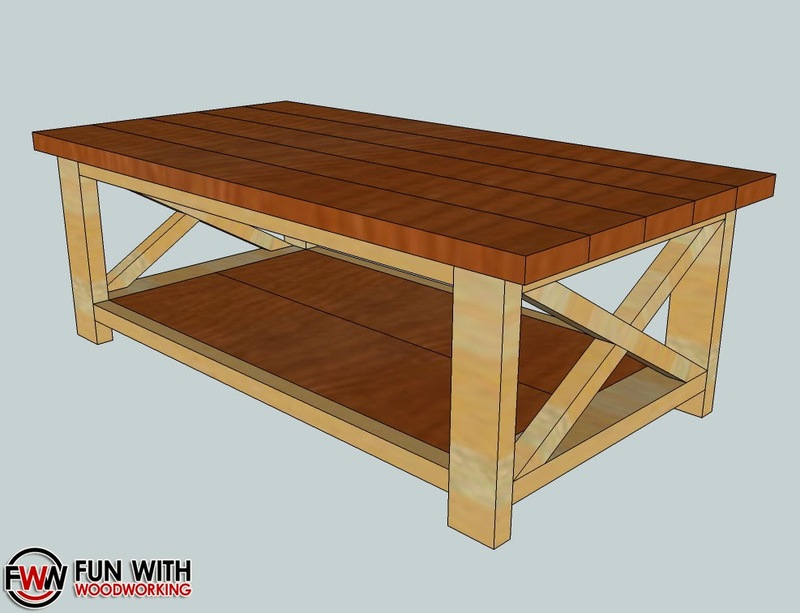 I downloaded the plans ahead of time and built it in Sketchup so I would have an idea on how to build it in real life. You can find a link to my Sketchup drawing and to Ana’s plan in the Free Downloads section above. The first step was to setup a work space in the driveway. and cut 4 pieces at 41″. Each piece then received a pocket hole at each end. and drilled in a pocket screw. We now have the 3 boards joined together. set the height of the bottom shelf supports. The side frames are now complete. We joined the 2 boards together using glue and pocket screws. Next we cut a 2×4 into 4 – 22.5″ lengths. We used a stop block to make sure that they were all the same. screwed the top rails to the side assemblies. got the bottom rails lined up just right. We then screwed the bottom shelf into the side supports. 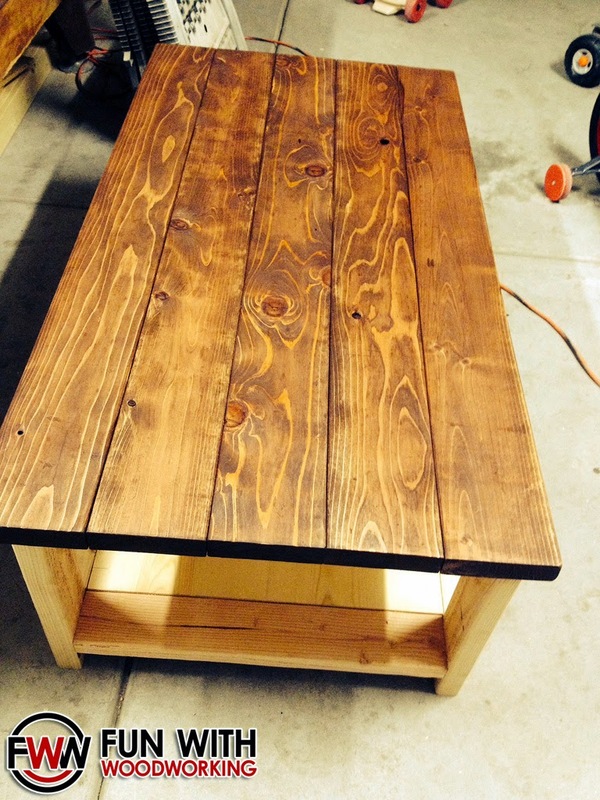 It’s starting to look like a coffee table! We then setup another stop block and cut the 5 – 2×6’s down to 52″ each. we set them up on that flat spot of the garage and drilled them together. buddy went to the back yard and cooked us some excellent steaks! Unfortunately it got dark quick so we cleaned everything up and I made the 1 hour and 20 minute drive home. My buddy worked on the coffee more the next day and sent me some pictures. I will post some more pictures when he gets it finished! Looks great. I like this DIY project very much. I will make it for my house. Neat project man. Love the industrial look on this one. Keep up the good work!